Due to the world-wide interest in the mining activities on the Thames Goldfields, looking at the old newspapers around the world provides information and photographs. Trove is a great place to start to explore Australian resources. Below is an example that shows two sketches around Thames. Source: Monday 9 November 1868, Illustrated Australian News for Home Readers. 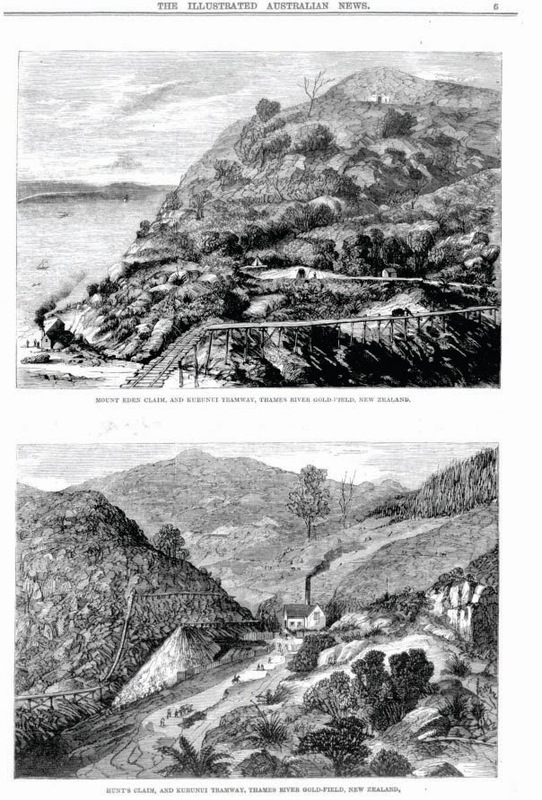 The top picture is: MOUNT EDEN CLAIM, AND KURUNUI TRAMWAY, THAMES RIVER GOLD-FIELD, NEW ZEALAND. Its hard to replicate some of the views that were used on early 1900s postcards - principally because of the growth of trees and subdivision that has occurred due to urban growth. A good quality postcard is worth scanning, to allow for a closer look at parts of the town. Below is the southern side of the garden of a house on Parawai Road, known today as Brunton House. The Kauaeranga River is to the top left. Originally known as the Marshall house, built for James Marshall, draper of Thames in 1877. Many of us remember it best as Brunton's House, as it was the residence of long-time Mayor Wallace (Wally) Brunton. (Mayor of Thames 1959-1975). The house is on the Historic Places Register. 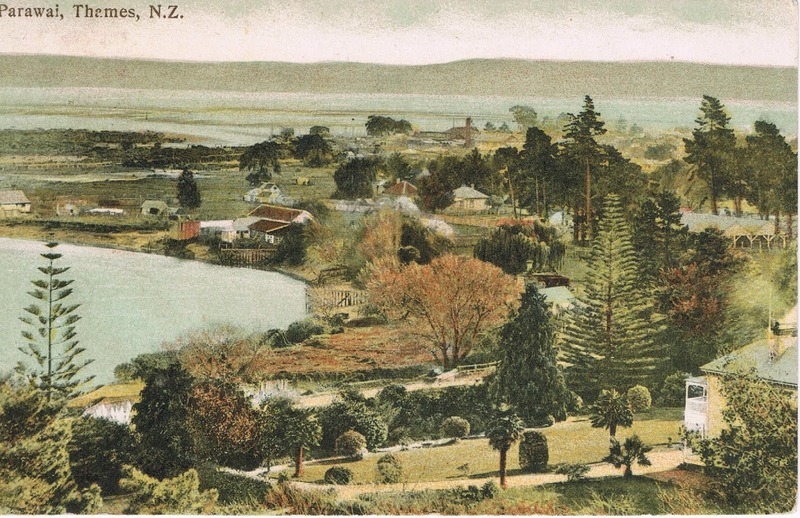 The next portion of the postcard highlights the foreshore area, with the Shortland Wharf on the left hand side. Below is the full postcard, labelled Parawai, Thames, NZ. Another example of a spectacular, early coloured postcard. Taken from Mount Sea Road, and looking over Shortland. Source for Further information: THAT FINE OLD HOUSE ON PARAWAI ROAD, by Alistair M. Isdale B.A (copy at The Treasury). 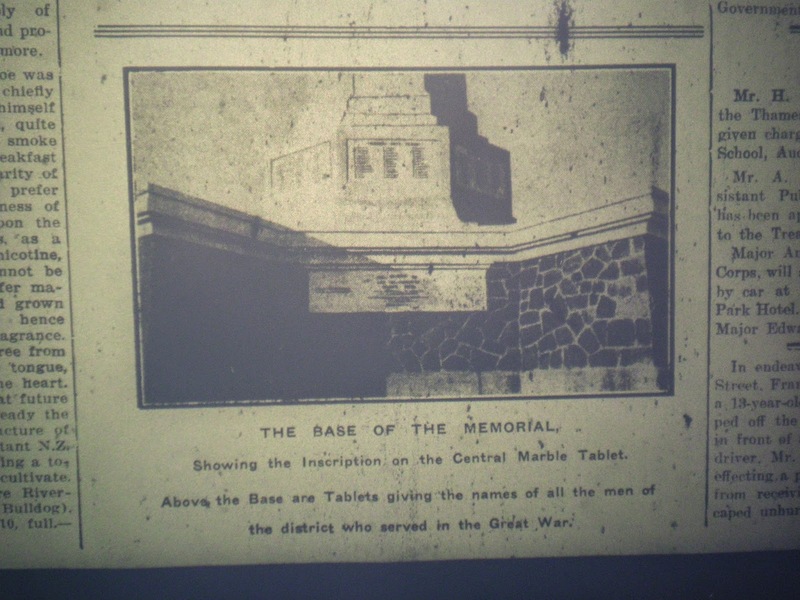 High on the Waiotahi spur above Thames, is the landmark WWI Peace Memorial. It bears the names of hundreds of men who both served and died. Hundreds more are not recorded - information on all men is being researched by The Treasury volunteers at Thames. This grand reminder of WWI was unveiled in 1925. 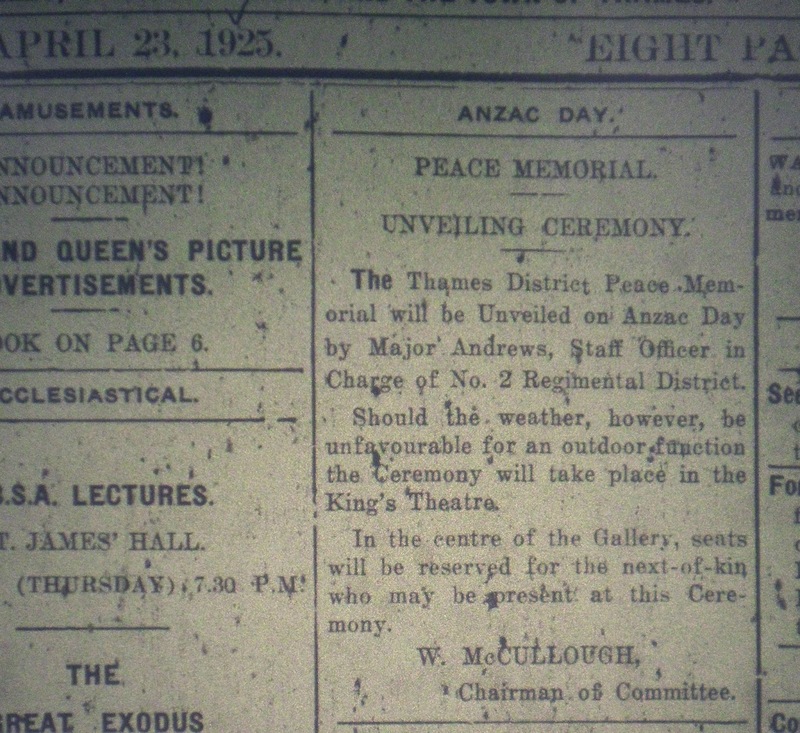 Sadly because of its geographical location the memorial services were only briefly held at the site. If you are in Thames, find time to go and visit the memorial and remember the names on the walls. 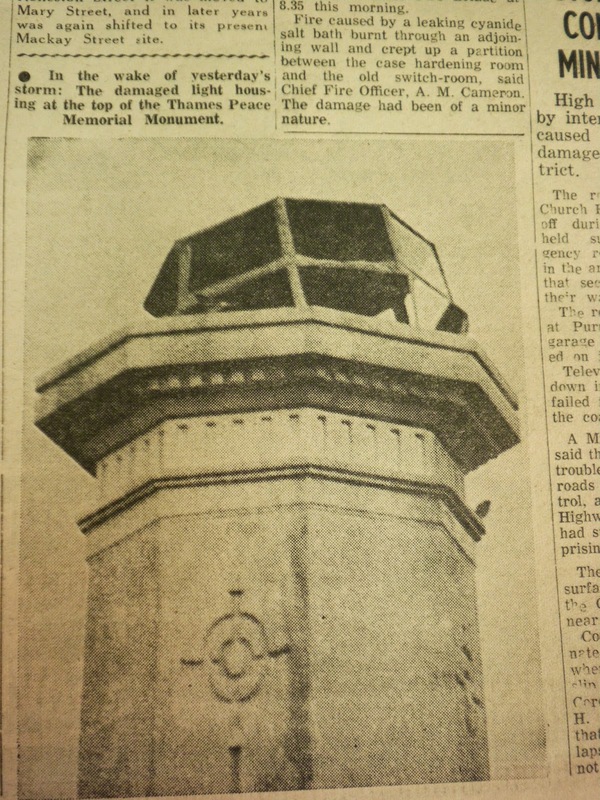 On 20 July 1966, The Thames Star newspaper gave Thames residents a close up of the top of the memorial, after a storm had damaged the top light structure. 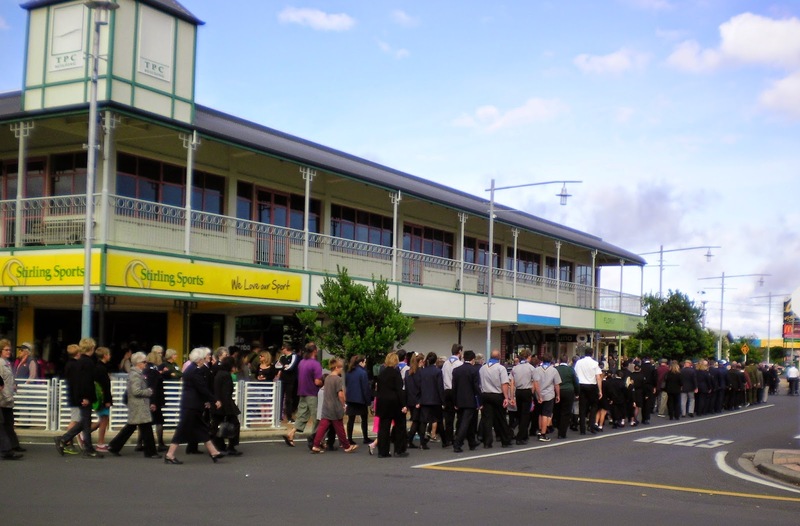 The New Zealand Post Office has travelled around the towns of Shortland and Grahamstown. From The corner of Grey and Mackay Street to various other locations including Pollen Street (North and south) and Queen Street. With the centralisation of shops back to Pollen Street in the early 1900s, the 'grand' building that still stands today was built in the late 1930s. 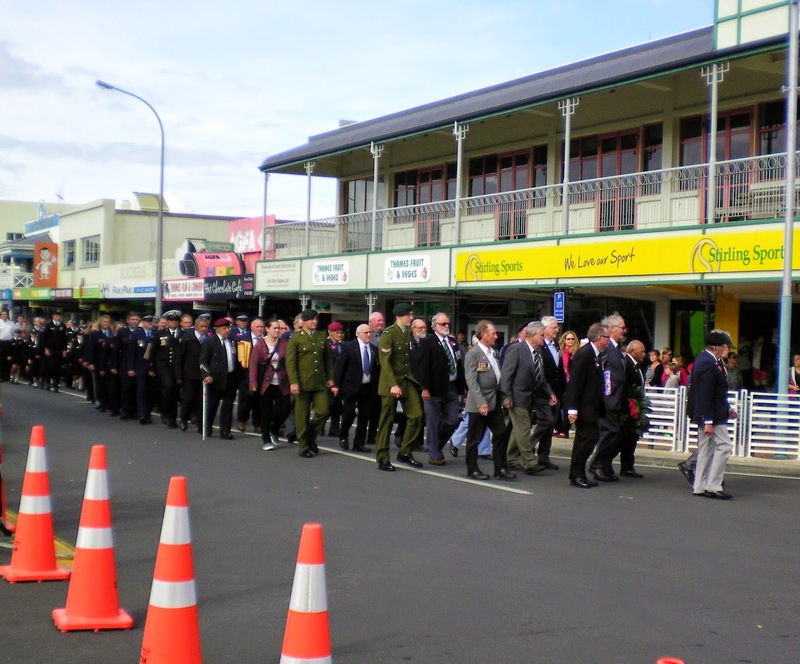 The building was opened 29 January 1938 by the Post-Master General, the Hon F Jones. The New Zealand Herald, 28 January1938 gave the cost of the building as 26,000 Pounds. Not everyone in the town was pleased with the improvements and desperately wanted a branch office at the northern end of the town. They quoted the fact that many miners and older people would find the new location harder to get to. On the first day of trading in the new building, five new savings accounts were established! Wonder what the Tararu cemetery looked like in 1937, well the answer is in the photo below. AN EXAMPLE TO SOME OF THE METROPOLITAN AUTHORITIES.—The "Garden of Sleep," as the cemetery at Tararu, Thames, is called, is one of the district's picturesque spots. Many visitors declare "it is the prettiest and best-kept cemetery" the have seen. The latest improvement is this entrance and gates. 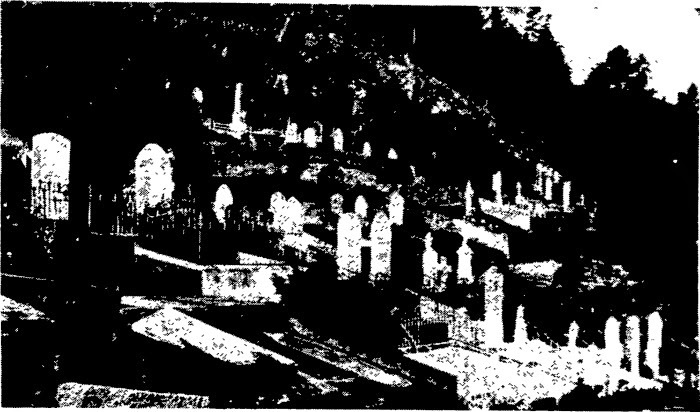 A couple of months later the 'glory' of the Tararu Cemetery was still in the news, Auckland Star, 10 November 1937, Page 9: A GARDEN OF SLEEP. —Tararu, near Thames, one of the few picturesque cemeteries in the Auckland province, which is described in an article on this page as a notable exception to the neglected and unsightly appearance of most New Zealand burial grounds. When the Tararu Cemetery was planned, the gardens and extensive acres of walks were to be an integral part of the cemetery. It is no wonder then that it was called "The Garden of Sleep." Over the years many hours have been voluntarily given by the residents of Tararu and this continues with a small band of volunteers. Sadly the geographical location and the elements have taken their toll and only the more physically able can glimpse and imagine the past glory of this resting place. So many people called Thames home at the height of the goldrush, and one thing is for sure...is that they never forgot the town and once a Thamesite, always a Thamesite. 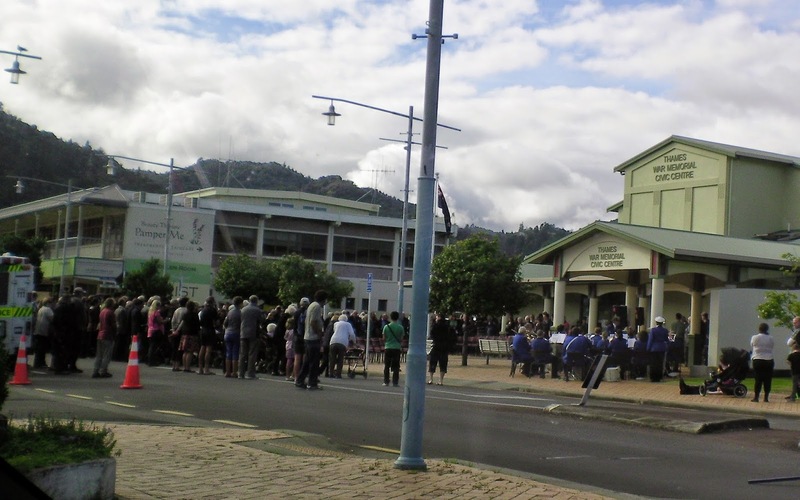 While many left the town when their fortunes changed, many kept the link by attending the Thames Old Girls and Thames Old Boys Association meetings that were held at Auckland. Take this group of ladies in the photo below, labelled as: SUCCESSFUL "AT HOME" HELD YESTERDAY BY THAMES OLD GIRLS' ASSOCIATION. The oldest members who attended. Left to right (standing) Mesdames E. Hicks, H. J. Lowe, E. J. Farquhar, I. Pitkethly, K. Milnes, A. Chappell. Seated: Mesdames W. J. Newby, M. Rowe, R. Smith, J. Peat, M. Porteous, E. M. Hope, A. Newdick. These 'old girls' would have had many memories, tales of hardship and good times. Times walking the muddy streets and tales of the incessant noise of the stampers that echoed around the townships of Shortland and Grahamstown. Have a look for photos of your relatives...don't narrow your search too much, at first at least. This example below: Thames, all newspapers, from 1867, 50 results per page with preview, illustrations only and sorted by date. Adding word combinations such as "THAMES OLD BOYS" and selecting ALL OF YOUR WORDS, comes up with results such as the one below. A TRIO OF "OLD THAMES BOYS." Three neighbours who live in Richmond Street, Thames. Standing is Mr. W. Hieatt (81 years). Sitting (left to right): Messrs. C. J. Brown (83) and W. James (92). All have had a golden wedding and Mr. James a diamond wedding also. Lastly, keep checking back at Paperspast as new editions are to be added in the near future. Keep checking back at Paperspast for information on Thames and your family - today more issues of the New Zealand Herald have gone on line. The paper now goes up to 1945. Wonderful, clear illustrations such as the one below telling the story of the goldfields. Northern Queen Street, Thames - the roof structure still evident in the lower photo, although the front façade has been altered. 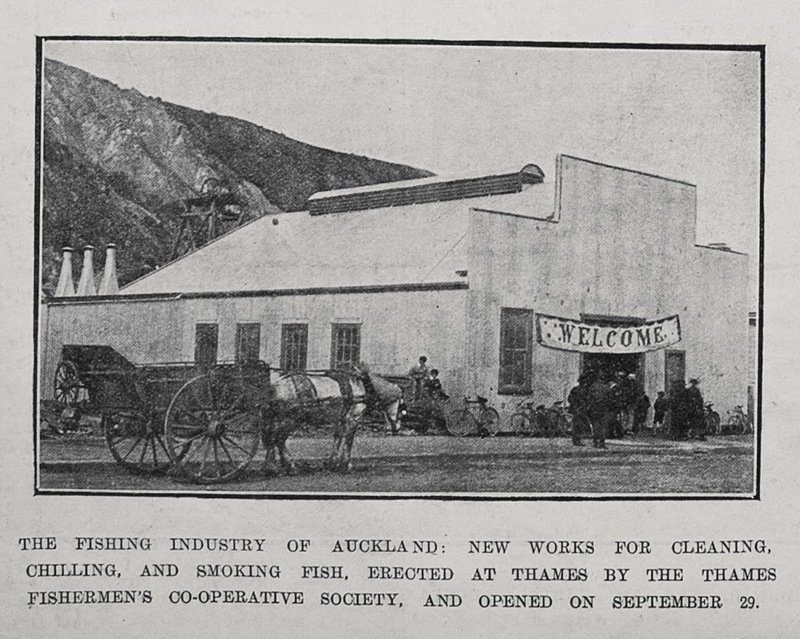 The Thames Fishermen's Co-operative Society opened their new building on 29 September 1911, at Thames. Built by: Harvey & Kidd, Niven & Co installed the plant, J Pratt laid the foundations. The power was installed by Judd & Co and A Diamond installed the freezing room. As a way to get back into regular postings, Tuesdays will with a bit of luck have Thames 'then and now' photos. Nothing fancy, just a simple reminder of how the town was and is today. "Fishing is carried on extensively at Thames, better known as a goldmining town, at the head of the Firth of Thames. 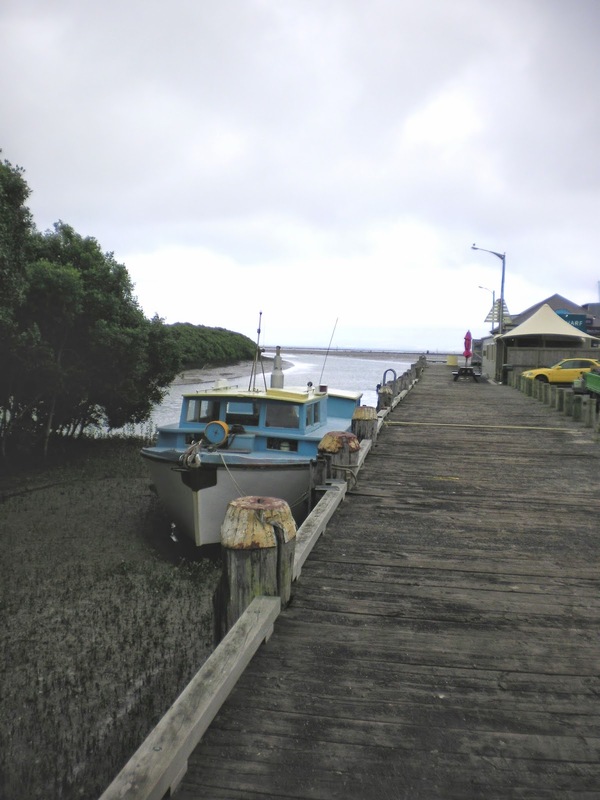 Freezing and storage works are available to cope with the supplies of fish, a large proportion being sent to markets in the Auckland provincial district. " From a historical perspective, the wharf is busy and during the 1930s depression was providing a regular source of income for a number of families...plus a ready food supply. The men are busy mending nets, ahead of another days fishing. For the genealogist often trying to identify the age of photographs it is worthy to examine the clothing. The hat a standard accessory while a jacket is common. Braces can be seen on the man kneeling in the back row - how many can remember those? Today the wharf is still has a fish shop and workers busily preparing seafood for the day's trade. The smokehouse still burns and fills the air with familiar aromas. A café on the wharf edge has attracted folk back to the area, to come and spend some time at the once thriving port.